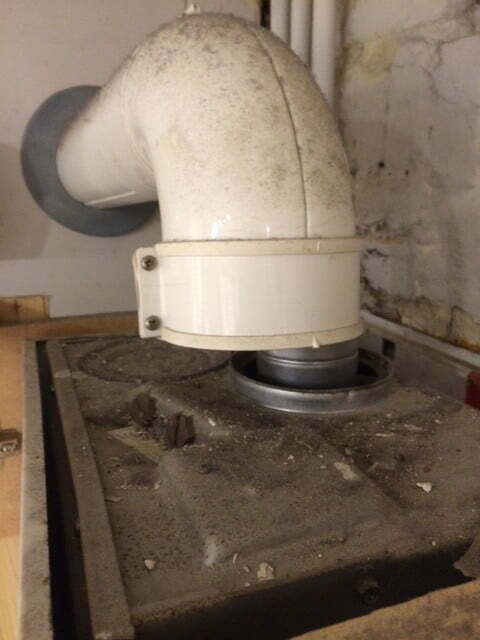 This is an excellent example why regular boiler inspections should be carried out. This was just a genuine call out to a failed boiler that would actually of being working if the pressure had not dropped on the water and initiated the low water pressure safety switch. This is and immediately dangerous situation and could have had disastrous consequences. Needless to say the flue was corrected.